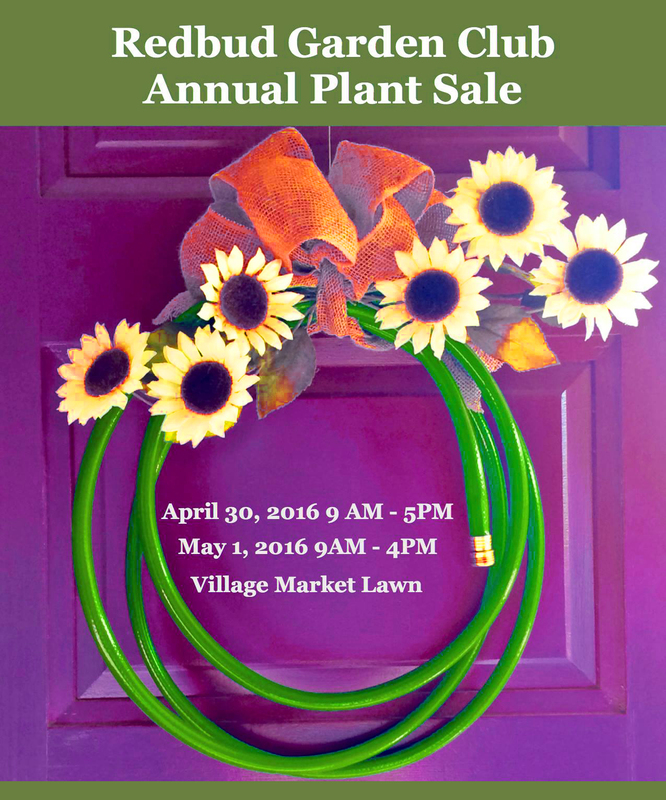 Join us at the Redbud Garden Club’s annual fundraiser. Invite your friends and family. With your help, it will be a grand success. There will be native plants, drought tolerant plants, herbs and color bowls. The prices are better than reasonable. Our members will help you select your plants, plus give advice on care and placement. Find us on the lawn next to the Village Market on Highway 198 in Three Rivers. 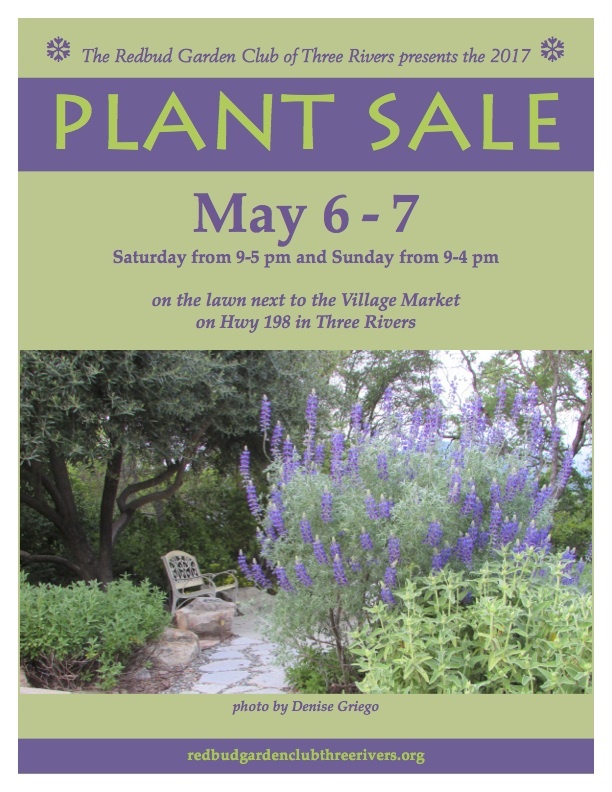 The Redbud Garden Club will have its annual Plant Sale on May 4-5, 2013, on the lawn next to the Village Market in Three Rivers. We will be on hand from 10-4 pm to offer a wide variety of plants. Join us for the fun, with or without a green thumb! We were sorry to hear that the Redbud Arts and Crafts Festival was put on hiatus for 2013. We hope to have our annual plant sale booth included for the return of this community event in 2014. 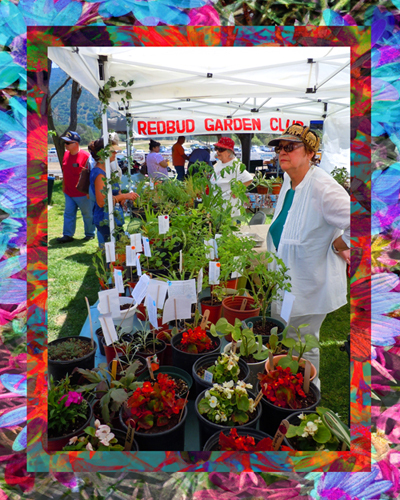 The Redbud Garden Club was founded in 1950, serving the small Sierra Nevada foothill community of Three Rivers, California, near the entrance to Sequoia and Kings Canyon National Parks.